As Chief Financial Officer, Valerie Rainey is responsible for the strategic growth of the business, including finance and accounting operations. She brings more than 20 years of business and financial leadership experience to iCIMS, with an extensive background with both publicly traded and private-equity-backed companies, specialising in developing and executing inorganic and organic growth strategies, international expansion and leading global teams. Rainey previously served as CFO at CMA CGM America, one of the world’s largest shipping companies, and INTTRA, Inc., a leading SaaS company facilitating global trade. Prior to joining INTTRA, Valerie was at Pitney Bowes as the CFO of International Mail Services. 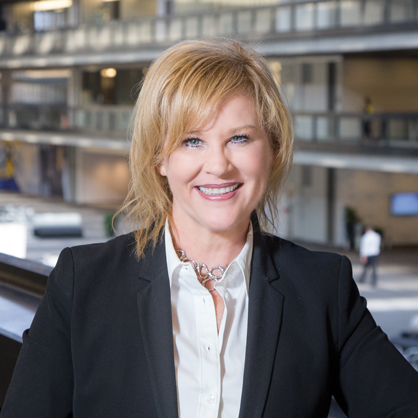 Before joining Pitney Bowes, she was with the American Institute of Certified Public Accountants (AICPA) as Vice President of Operations and Vice President of Strategic Alliances, Customer Service and Marketing. Prior to joining the AICPA, Valerie was in public practice for eight years with Ernst & Young and BDO Seidman. Rainey is a CPA and a CGMA, and has also served as the Chairperson for the AICPA’s Business & Industry Executive Committee and as a member of the Finance Committee of the Pacific Maritime Association. She holds a BS in Psychology and an MBA from Fordham University. "Of the iCIMS core values, I most identify with adaptability. As markets change and business practices progress over time, it’s imperative to be able to think on your feet, react quickly and pivot as needed."